The MutualOne Charitable Foundation has awarded $10,000 to support the summer camp program at Musterfield Place, a residential development managed by the Framingham Housing Authority. The grant will cover salary costs for four local high school and college students to staff the day camp program, according to Mark R. Haranas, president and CEO of MutualOne Bank and a MutualOne Charitable Foundation trustee. More than 90 children are eligible for the summer camp activities, which include outdoor and beach activities as well as computer and reading time. Read to a Child, a lunchtime reading program at the Woodrow Wilson and Brophy elementary schools in Framingham, has received a $5,000 grant from the MutualOne Charitable Foundation. The program pairs high-risk students in grades one through four with adult volunteer mentors from a number of local companies and community organizations for weekly read-aloud sessions at the two schools. grant will support program materials, books, and volunteer training and recruitment, to help ensure sustainability of the program. 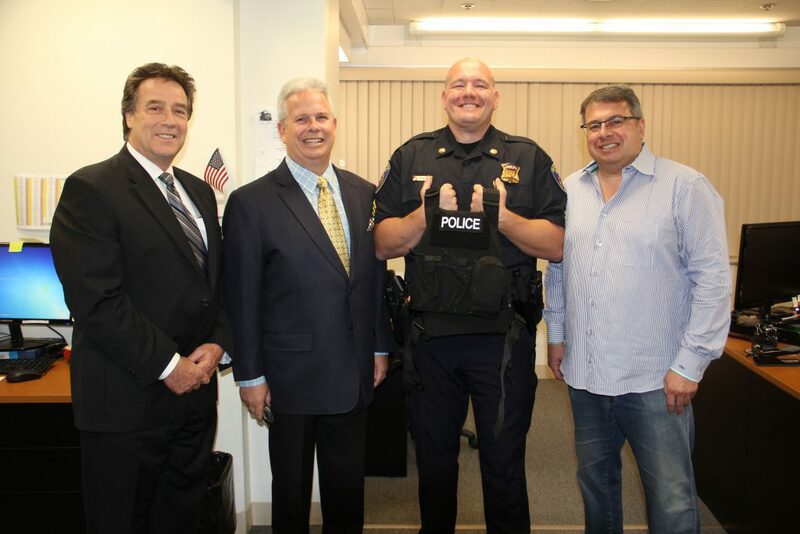 “We’ve watched the growing success of this program over the past five years of our support, and we’re pleased to continue our partnership with Read to a Child again this year,” said Sousa. 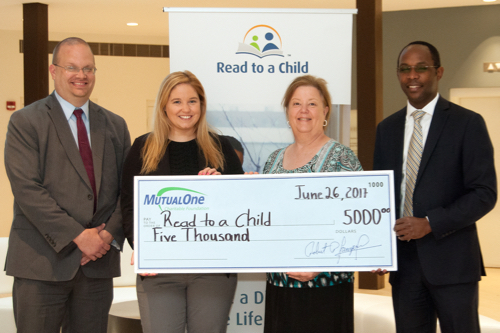 Celebrating MutualOne Charitable Foundation’s recent grant are (l-r) Gregory Kennedy, MutualOne Bank first vice president; Read to a Child Boston Directors Kristen Baxter and Linda Winin; and Yves Munyankindi, MutualOne Bank charitable foundation administrator. 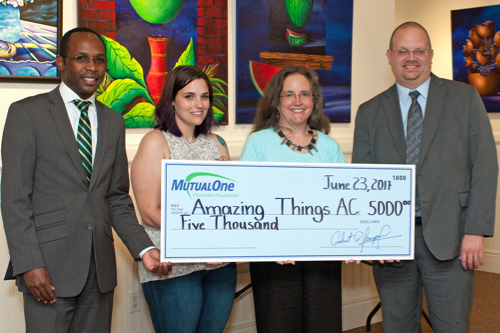 Mark R. Haranas, president and CEO of MutualOne Bank and a MutualOne Charitable Foundation trustee, has announced a $5,000 Foundation grant to the Amazing Things Art Center in Framingham. The award will support the efforts of Amazing Things to expand, improve, and publicize its three visual arts galleries. Two Amazing Things art galleries are located in the organization’s Hollis Street headquarters and a third is at the Starbucks on Route 9, all in Framingham. Gathered to celebrate MutualOne Charitable Foundation’s recent grant are (l-r) Yves Munyankindi, MutualOne Bank charitable foundation administrator; Amazing Things Melanie Christopher, gallery coordinator/office manager and Ellen S. Sturgis, executive director; and Gregory Kennedy, MutualOne Bank first vice president. 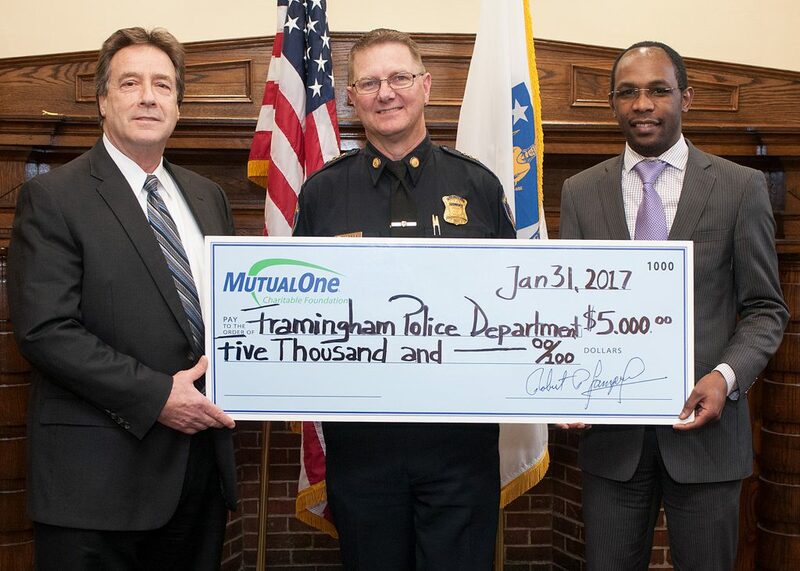 Robert P. Lamprey, chairman of the MutualOne Charitable Foundation, has announced a $5,000 grant to the Bacon Free Library in Natick. The award will help refresh the Library’s collection of current and classic books on CD. 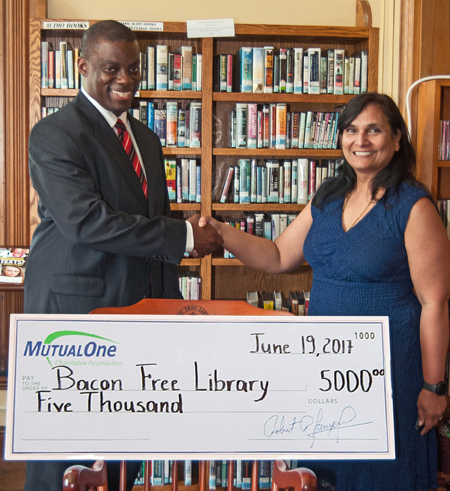 Celebrating the MutualOne Charitable Foundation’s donation to the Bacon Free Library are (l-r) Mobolaji Omisore, manager of MutualOne Bank’s Natick office and Director Meena Jain of the Bacon Free Library. 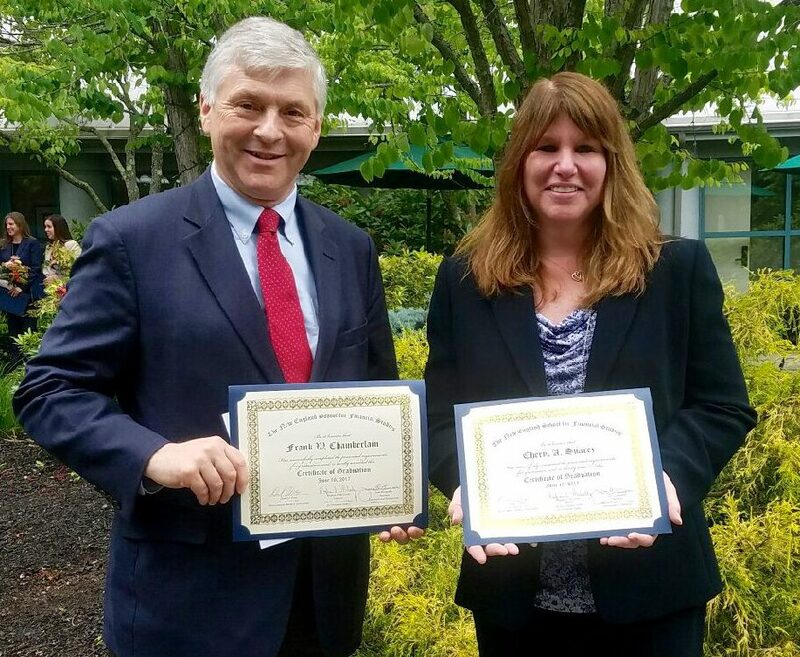 Congratulations to Frank Chamberlain, vice president, credit officer and Cheryl Suarez, deposit operations manager. They recently graduated from an intensive two-year program at the New England School for Financial Studies.